Relax in the comfort of your sofa! 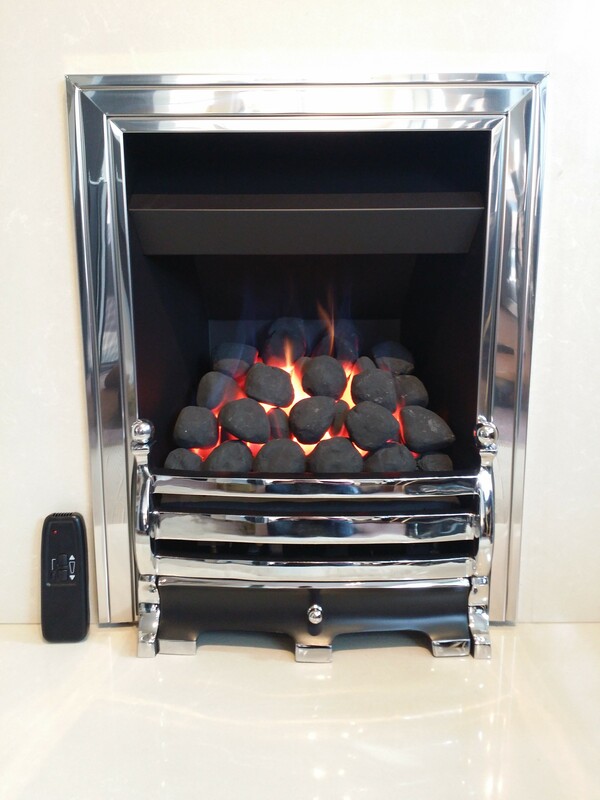 with this fully variable flame effect and heat control via Remote handset operation. Successfully combines state-of-the-art performance with contemporary good looks. 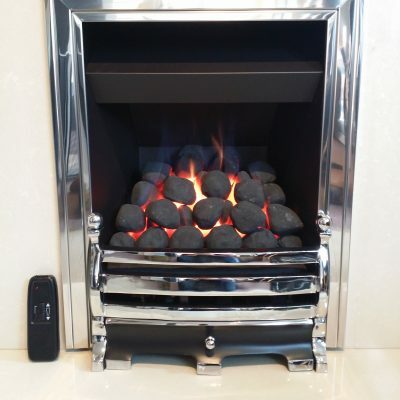 The full depth firebox incorporates a cleverly designed heat exchanger that increase the fire’s efficiency by providing convected heat in addition to radiant heat. 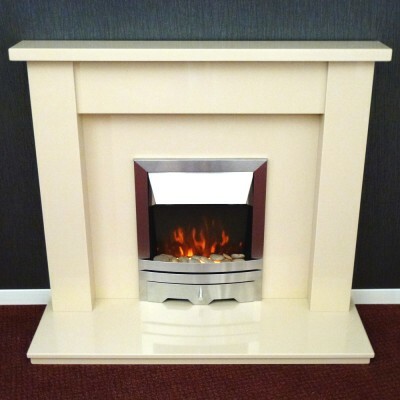 Fully variable flame effect and heat control. Suitable for Chimney’s and Pre-fabricated flues. 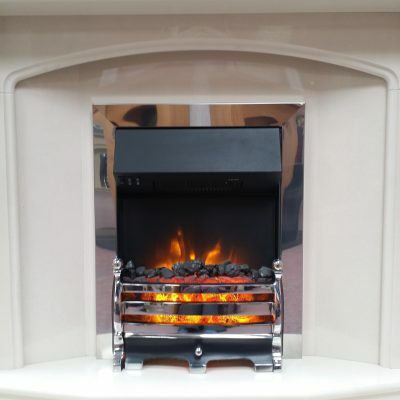 Open living flame Coal effect burner. Maximum heat output – 4 Kw. Built in optional manual control operation. 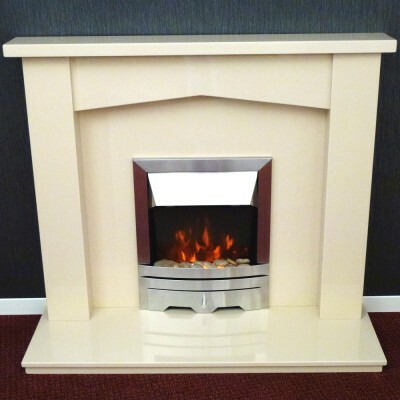 Overall sizes – Width 485 mm x Height 590 mm x Depth 250 mm. 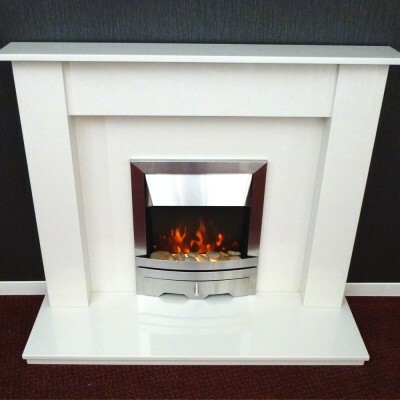 Opening sizes required – Width min 390 mm – max 440 mm. Height min 545 mm – max 575 mm.